Operates on Monday, Tuesday, Wednesday, Thursday and Friday mornings from 8.30am. Blood tests are carried out without appointment any morning from 8.30-11.30 am, and appointments can be made in the afternoon for other requirements, ie. Blood Pressure checks, dressings, vaccinations etc. Contraception - including emergency contraception and insertion and removal of contraceptive implants are available. When requesting any of the above please ensure you inform the reception staff of what you require, so that the doctors can be prepared. Is available twice a month on a Tuesday morning from 9.30am - 12.10pm and is carried out by Sr E Gibson. Appointments can also be booked into the treatment room afternoon clinic if the Tuesday morning is unsuitable. Held on a Tuesday afternoon and is supported by a Doctor, Dietician, Podiatrist and Specialist Diabetic Nurse. Appointments are booked in advance. To make this visit as productive as possible it is important that you get your bloods and urine done in the previous week so that adjustments can be made to your treatment if necessary. If these are not done the diabetic review is less effective. Are held two Tuesday mornings a month and on Wednesday afternoons also with our asthma nurse Sr D Skillen. Appointments are booked in advance. The INR clinic is run on a Tuesday morning between 8.30am-10.30am, if you require to have your INR checked, come to the surgery at this time. The nurse is able to check your blood and make any adjustments to your warfarin dosage based on the results, while at the surgery. 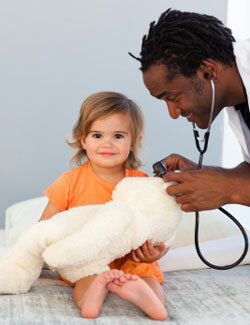 A regular clinic is held for children aged between 8 weeks and 4 years. Your appointments for these services will be organised through the Health Visitor or a member of our administrative team. For parents giving medications to their children, there is a website available which provides easy to understand information on medicines that have been prescribed to your child by the doctor. It is full of tips on how to give the different types of medicine and simplifies the potential side effects so that it can be easily understood. Available to your child according to recognised and regularly updated guidelines. The clinic is held on Thursday mornings. You will receive a postcard inviting you to arrange your appointment in advance. Although immunisations can occasionally be fitted in during treatment room hours, for the safety of the procedure it is best if you bring your child to the scheduled Thursday clinic. When coming to this clinic please ensure you bring your child's red book. This service is available as an NHS service, for some but not all vaccinations, but can be accessed through treatment room by booking a double appointment on a Monday afternoon with our travel nurse. Separate clinics will be run on a weekly basis for minor operative procedures. For Liquid Nitrogen the practice operates a monthly clinic. From 1st June 2017, this practice will be able to offer only a limited travel vaccination programme. Whilst we are able to offer some vaccinations, you may find it easier and more convenient to obtain your vaccinations from one provider. Within a healthy balanced diet, a man needs around 2,500kcal a day to maintain his weight. For a woman, that intake is around 2,000kcal a day. The Diabetes.co.uk website has suggested a 30day meal plan for diabetic patients providing a detailed planner for 30 breakfast, 30 lunch and 30 dinner ideas. To make it easy to see what you are eating and the number of calories it provides, they have made the serving sizes easy to divide. Alternatively please enquire at reception for a print out of these meal plans. WOULD YOU KNOW IF YOU WERE HAVING A HYPO? Over time exposure to hypoglycemia can make the symptoms tricky to notice. This is called a loss of hypo awareness. Many episodes of severe hypoglycemia are caused by a lack of hypo awareness. It only takes 30 seconds to sign up. From there you can use the program at your own pace, wherever you go. It works on the web, IOS or Android. Caring for your feet can greatly assist in treating a foot health condition as well as leaving you with smooth and comforted feet. Simply Feet offer an extensive range of foot care products which can be used to enhance the health, comfort and wellness of your feet along with easing pains in the lower legs, back and hips. Simply Feet provide a wide range of tools for cutting toenails and hard skin for those who experience difficulties. This would save alot more time than waiting to be referred to Podiatry. New driving guidance provided by the DVLNI states that patients who are on medication which contains morphine should not be driving as this can affect their driving ability. Cocodamol 30/500mg fits this category. Doctors can provide an alternative drug for patients on this medication which contains a reduced dose of codeine. Please check with reception for more information. they will be required to sign an undertaking to comply with the directions of doctors(s) treating the diabetes and to report immediately to DVLA any significant change in their condition. Many people enjoy a drink without any problems. But binge drinking or drinking heavily over longer periods of time can have very serious consequences. Alcohol misuse not only harms the individual but is damaging to relationships and society in general in terms of violence and crime, accidents and drink driving. there were over 8,000 alcohol-related admissions to hospitals in Northern Ireland. Alcoholics Anonymous (A.A) is a group which is made up of individuals who share their experiences with alcohol and how it has affected their lives. Members talk among themselves in the hope that their experiences and support of each other may help solve their common problem and help others to recover from alcoholism also. The only requirement for membership is a desire to stop drinking. There are no fees for AA membership. The AA provide a useful APP which can be downloaded onto your device via the App Store or through the Google App Store for any Android devices. Alternatively all details and information can be found on the AA website, see the link below. 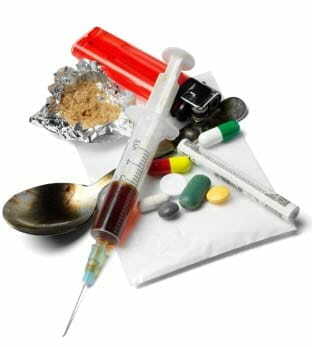 Do you have a problem with Drugs? People experiment with drugs for many different reasons. Many first try drugs out of curiosity, to have a good time, because friends are doing it, or in an effort to improve athletic performance or ease another problem, such as stress, anxiety, or depression. No matter how often or how little you’re consuming, if your drug use is causing problems in your life—at work, school, home, or in your relationships—you likely have a drug abuse or addiction problem. If you’re worried about your own or a friend or family member’s drug use, it’s important to know that help is available. Listed below are some more useful websites which provide free support and detailed information for anyone looking advice on Alcohol or Drug abuse. Benefits other parts of the healthcare service particularly A&E Departments and Out-Of-Hours medical services. All patients aged three months or over and registered with a GP practice can use this free scheme. No, Because you can get advice and treatment if appropriate from a community pharmacist. Why go to your pharmacist first? Pharmacists are trained to deal with minor ailments.You will receive quick, expert advice without the need to see your GP. Can you go to any Pharmacy? Most pharmacies are involved in the service and they will display an arrow and cross sign to identify themselves. This will help them make an appropriate recommendation for treatment. In some cases the pharmacist may need to refer you to the GP but in the majority of cases the pharmacist will be able to treat you. Statutory Sick Pay (SSP) is money paid by employers to their employees who satisfy the conditions for payments when they are ill and unable to work. Please fill in this form when you have been sick for 4 days or more in a row. This form will cover you for no more than 7 working days. If you require a further line after this, you will need to contact the GP.